Kara's Party Ideas | Kids Birthday Party Themes: Halloween Treat Table! 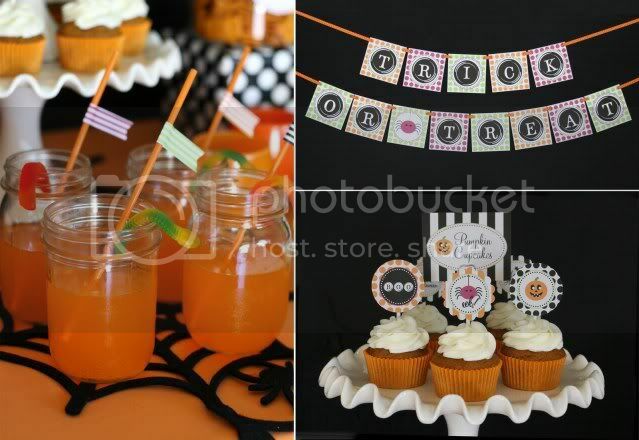 Kara's Party Ideas | Kids Birthday Party Themes: Halloween Treat Table! What a darling Halloween party! 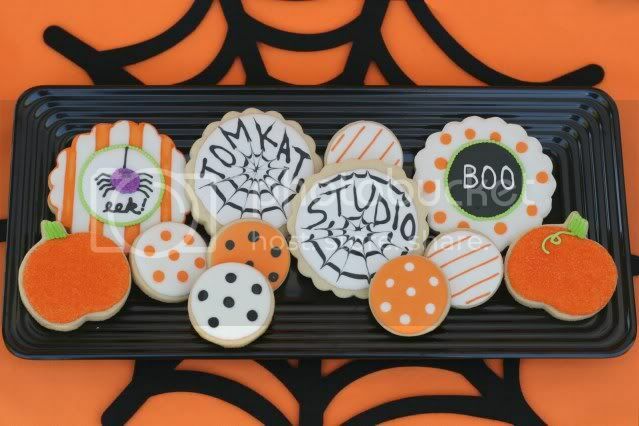 This past week Glory worked on a fun project to help Kim of The Tomkat Studio debut her new line of Halloween printables. 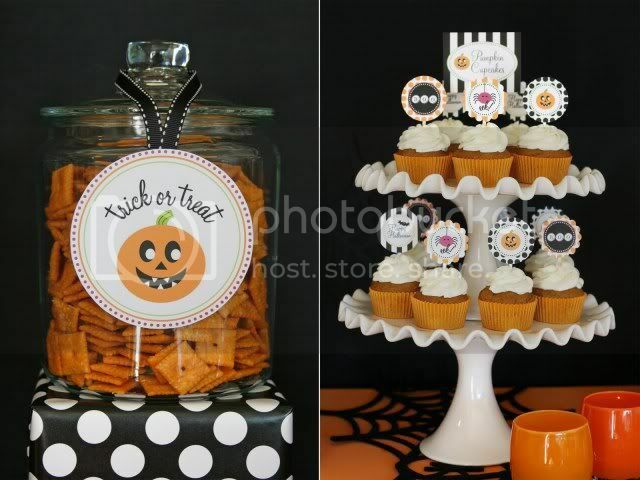 She printed out all of the cute designs and then baked, shopped and decorated to create this Halloween treats table! 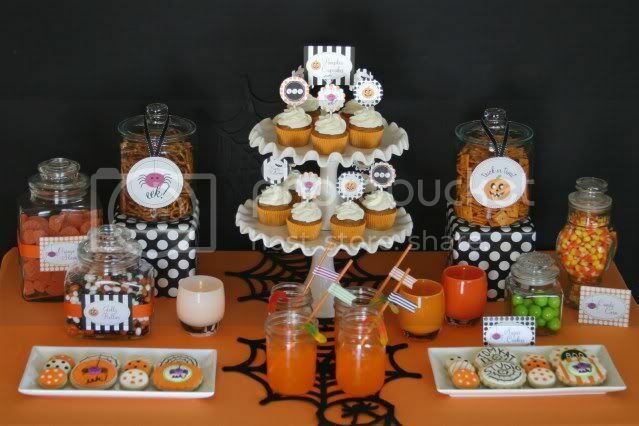 Adorable dessert table, Glorious Treats! Congrats on being the winning party feature today! Glory-"I've seen a trend of using canning jars as drinking glasses, and I thought they could add some character to this table. 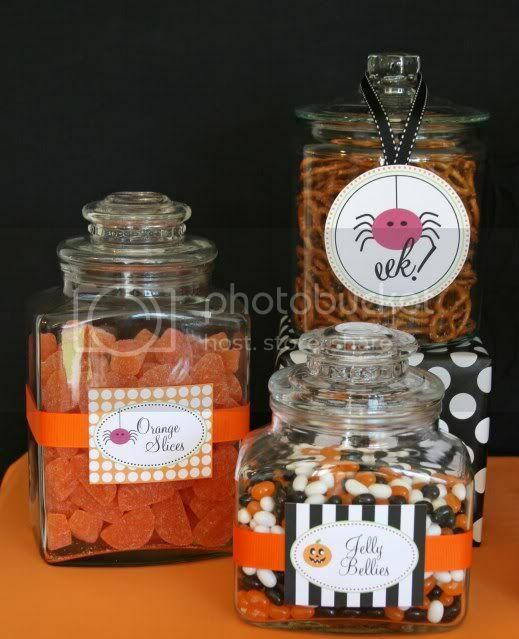 I filled these with orange soda and added a gummy worm for a bit of Halloween flair. I think a scoop of vanilla ice cream would look great with the orange soda, or some lemon-lime soda and a scoop of lime sherbet would make a nice creepy looking drink too." Adorable! 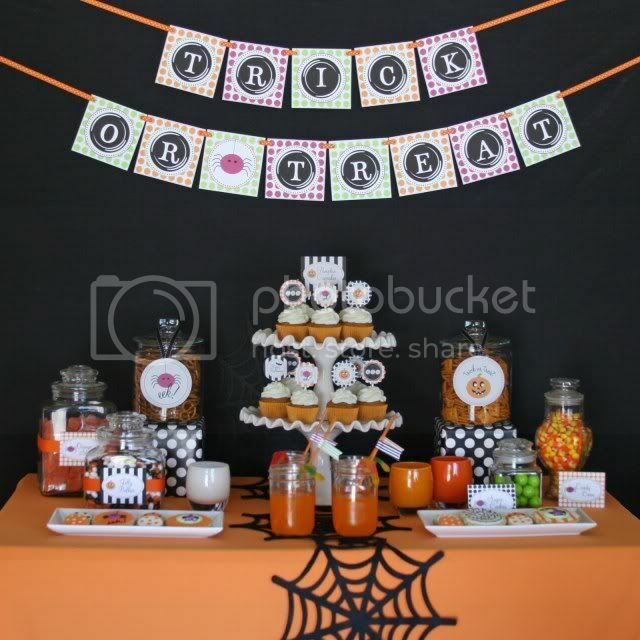 Would love to know where you got the spider web table runner. I believe Glory purchased it at Pier 1! Luv all the little signs and banner! How or what do you use to make them? They were created by Kim at the Tomkat Studio (www.tomkatstudio.blogspot.com). She sells them in her etsy shop! Where did you buy the cup cake stand?